You are here: Home / Hair Talk Blog / Celeb Corner / Shereé Whitfield; Are there any Hairstyles she hasn’t tried? 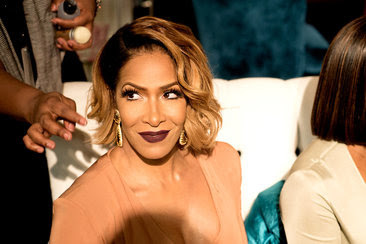 With 3 kids, her own clothing line, a ladies bootcamp and a book tour, it’s clear that The Real Housewives of Atlanta (RHOA) Shereé Whitfield can do it all, including fresh new styles at every turn. One thing we love about Shereé is that when she changes up her style, she goes BIG. She’s had everything from long and dark curls to a jet straight platinum blonde bob, and on top of that she can even rock cute fringe bangs (which everybody knows is not an easy feat). A signature style that Shereé seems to rotate frequently is the ombré loose wavy lob (long bob). This style is effortless and seems to look good on almost anyone! Keep it up Shereé you are crushing the hair game! Let us know (in the comments section below) what your fave Shereé hair moment is and what style you think she should try next! !